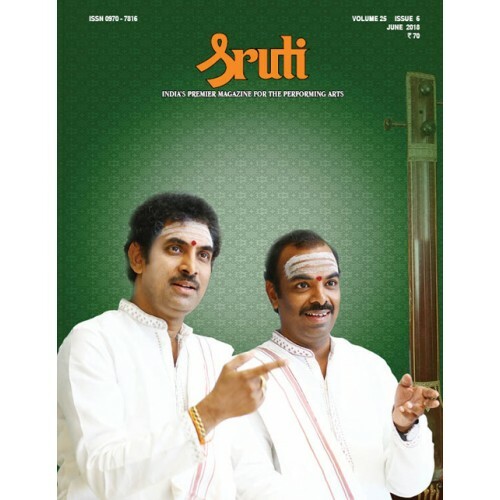 It is difficult to believe that an epoch making revolution in the manner in which Carnatic music was practised in Andhra Pradesh came about through the dedicated efforts of one who was not even a professional musician. This legendary person was Dr. Sripada Pinakapani. He was an eminent doctor by vocation but music was his passion. Almost entirely self taught in the subtle intricacies and nuances of Carnatic music, he fell in love with the “Tanjavur bani” of Tamil Nadu and decided to import and propagate it in his own Andhra Pradesh. He had no guru to guide him in his mission but commenced the journey on his own, deciding to absorb whatever he listened to and found good from the stalwarts of Tamil Nadu. Every hour he could steal from his professional preoccupation he devoted to this mission, travelling to Chennai or other places for the purpose of listening to the greats of those days and absorbing the essence of their styles. He wrote instant notations of whatever he found worthy in his listening sessions. During his peregrinations he cultivated personal contacts with senior musicians like Ariyakudi, Semmangudi, Mudicondan, Musiri, Brinda and several others. He had a special affinity to the Dhanammal school. His repertoire drew liberally from the historic collections of Rangaramanuja Iyengar. In addition, he developed his own extensive repertoire of padams and javalis from a variety of sources. Apart from composing varnams of his own, he set to tune more than a hundred kritis of Annamacharya in his unique, aesthetic style. I took my father to an eye specialist for a test near our residence. The doctor was pleasantly surprised and was most willing to do the eye test for my father, since he was a fan of my father. When he started testing his eyes, he was really taken aback, for my father’s right eye was good but the eyeball had no movement. My father never revealed this during his life time”. This is a (slightly edited) Facebook post by my brother M.A. Krishnaswamy, on 17 March 2018, nearly a month after my father M.S. Anantharaman’s demise. We received hundreds of phone calls from his disciples and our relatives, after they read these lines. To them, my father was akin to a sage in not revealing his visual disability to anyone till he passed away. M.S. 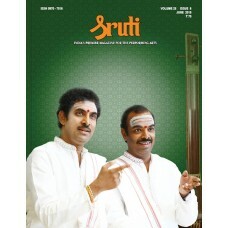 Anantharaman learnt to play the violin from his father Parur Sundaram Iyer who had four daughters and two sons. Sundaram Iyer’s first daughter was Seethalakshmi married to Kalakkad Ramanarayana Iyer. Adept at both vocal and violin music, she played many duets with her younger brother Anantharaman and taught vocal music to the famous nagaswara vidwan Karukurichi Arunachalam (according to my father). The second daughter Muthulakshmi was married to Manakkal Shivaraja Iyer, elder brother of vidwan Manakkal Rangarajan whose second daughter learnt violin from Anantharaman. Sundaram Iyer’s third daughter M.S. Maragatham enrolled as a student in the department of music, University of Madras, along with Anantharaman, when Sundaram Iyer was a Professor of violin (1932-1946). Another daughter M.S. Rajam was a good vocalist and violinist but gave up her career as a performing musician; her husband P.R. Ramachandran was a leading civil lawyer. Seated in a dignified manner, draped in a beautiful, traditional silk sari, Mumbai based veteran Bharatanatyam guru Rajee Narayan looks a picture of poise and contentment that does not betray the struggles and toil she has gone through in her long and illustrious life. Revered and admired as a guru today, she is an institution unto herself, with hordes of students owing allegiance to her Bharatanatyam and life-lessons. Born on 19 August 1931 as the eleventh child to S. Narayana Iyer and Gangammal in Chennai, Rajee took to the fine arts like fish to water. Her father was a well-known figure in the arts scene, staging his own productions and even producing films, in which his large family played most of the roles. He had formed The Shining Star Society with his children, to popularise the music records of HMV. Barely four-and-a-half years old, little Rajee recorded the Telugu song Neraminchakura and went on to record stories and songs for children and several plays. Around 1937-38, she acted and sang in the movies that her father produced, like Shakti Maya, Bala Bhaktan and Sant Eknath, where she played lead roles, singing the songs herself. It was a sad day for the music world when the oldest living vaggeyakara, Balantrapu Rajani­kanta Rao breathed his last in Vijayawada at the age of 98, on 22 April 2018. He reached the pinnacle of glory even in death when he was awarded the highest State honour, a 21-gun salute by the Andhra government. Three years earlier, his family and extended family of musicians had celebrated his centenary based on calculation as per the Telugu Panchangam (almanac). His voice is silent now but his words resonate with his zest for music as heard in this talk in Birmingham (1984) titled Expanding Horizons: “Like a rider galloping on a horse with stirrups, something propels my heart when I see you listening to my song and enjoying it, and I will be galloping and galloping and galloping through my song.” Rajanikanta Rao was a multi-faceted musical genius, a prolific writer, composer and singer who left behind a rich legacy that will remain a reference point for generations to come. Born in Nidadavole on 29 January 1920, he was the son of Balantrapu Venkata Rao, one half of the renowned Telugu poet-duo Venkata Parvateswara Kavulu. He was proficient in Sanskrit and Telugu and started writing songs and composing music when he was 21. His best creative output was when he worked from 1941 to 1978 as a broadcaster with All India Radio where he had ample opportunity to showcase his musical and literary talents. Rajani’s first composition for AIR was Chandidas, a musical opera which he wrote and composed. 52 Talking theatre v The poet, not the playwright!